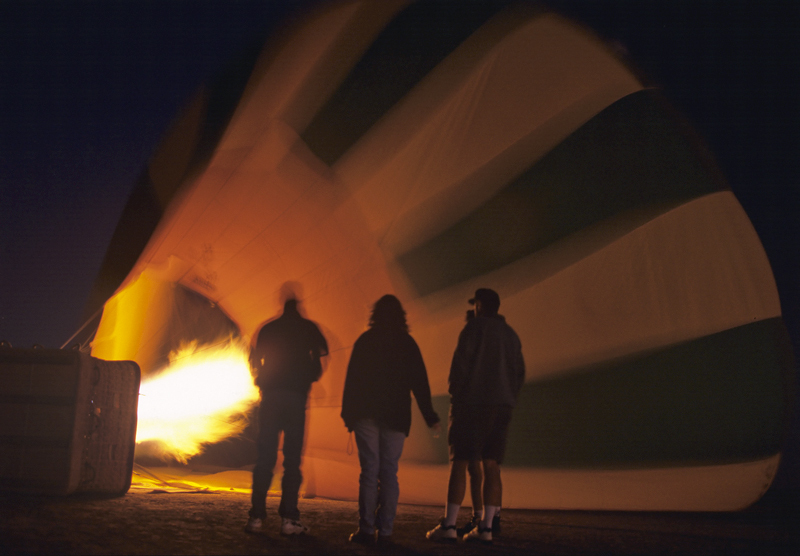 Balloon flights usually take place at dawn and of course preparation has to start considerably before that. This is my first and one and only balloon flight which was a birthday present for my girl-friend, later to become my wife so I opted for a dramatic flight setting with a trip over the red sand desert of Australia. This was taken a few minutes before the balloon envelope lifted clear of the ground.